Opening weekend $90.294 million on 3672 screens. Nominated for Best Art Direction-Set Decoration; Best Costume Design; Best Score-John Williams. As I approached the task of writing my thoughts about Harry Potter and the Sorcerer’s Stone, I wondered if I should bother. I mean, sometimes I think it’s folly for me to believe that my random ramblings about flicks makes an impact on readers anyway, but surely no one needs my praise or criticism of this movie. The entire franchise was totally pre-sold before Stone ever recorded a frame of film. Of course, many films are like that, but with its army of book fans, the Potter franchise seems especially resistant to critical comment. I highly doubt that I’ll sway anyone either in a positive or negative way. But the apparent pointlessness of an activity never kept me from it in the past, so I figure I should soldier on here and detail my reactions to Stone. The DVD presented my first viewing of the film, and indeed it offered my initial sustained involvement in anything Potter related. Of course, I was well aware of the franchise and had some mild knowledge of its characters and situations. However, my knowledge went nowhere beyond that, so I greeted Stone as a semi-neophyte. For the other newbies out there, here’s the gist of things. At the start of Stone, we see baby Harry get dropped off at the home of his aunt and uncle. For unexplained reasons, his parents can’t care for him, so some mysterious magical parties - who we’ll get to know later - leave him with the Durleys. Straight out of a Roald Dahl story, they’re a nasty and selfish lot who aspire to do little more than use and abuse poor Harry (Daniel Radcliffe). On the occasion of his 11th birthday, owls start to leave letters for Harry, but cruel Uncle Vernon (Richard Griffiths) goes to extreme measures to make sure the lad doesn’t read them. However, the senders of the letter represent Hogwarts School of Witchcraft and Wizardry, and they won’t be denied their new pupil. Eventually school assistant Hagrid (Robbie Coltrane) comes to fetch the boy, and Harry quickly receives an education in his destiny. Apparently he’s something of a magical golden boy with spectacular innate powers. Hagrid helps outfit Harry with the appropriate gear and makes sure he takes the train to the school. Along the way, Harry meets and befriends to new recruits, Hermione Granger (Emma Watson) and Ron Weasely (Rupert Grint). She’s a know-it-all perfectionist, while Ron’s a somewhat insecure and nerdy guy. After they reach Hogwarts, they end up in the same dorm and gradually get their initiation into this new world of magic. Slowly a plot unfolds. The kids learn of something called the Sorcerer’s Stone, which is being kept deep within Hogwarts. Essentially, the possession of this sucker will help make its used immortal, and some nasties want it for themselves. Apparently, ultra-evil Lord Voldemort stands behind these attempts, and the kids suspect that schoolteacher Professor Snape (Alan Rickman) serves as his lackey in this effort. That’s not exactly a remarkable or revolutionary storyline, but it seems acceptable for this flick. At 152 minutes, Stone appears rather long for something in this genre. Normally I’d expect this sort of fantasy to clock in around 110 minutes or maybe two hours, so that extra 30-40 minutes really could make it run slowly. However, I think the running time feels appropriate. I expect the sequels will require less time because they’ll not need so much exposition. Stone shows a nearly exact split. The first half of the film concentrates almost totally on character and situation introductions. We meet the kids and the school staff and also learn about the academy, the magical powers and tools, and some new vocabulary words like “muggle”. A smidgen of plot appears during the first 75 minutes, but only a little; those moments focus on the establishment of the tone and the participants. From there, things open up more during the final 75 minutes. We still learn a little more about the characters, especially as Harry gets to know new facts about his parents, and the main kids - Harry, Hermione, and Ron - develop their personalities to a fuller degree. Nonetheless, that part of the flick definitely emphasized the quest for the Sorcerer’s Stone. I think director Chris Columbus could have integrated the two elements better, as the bifurcated nature of the film seems a little awkward at times. I mean, the change from “character development” to “plot” happened so precisely at the movie’s midpoint that it felt awfully calculated. The flick showed no terribly rough transition, but I simply thought the move could have come about in a more natural manner. Still, Columbus had a difficult task, and I generally think he handled it fairly well. He needed to satisfy the enormous core audience of Potter-philes as well as gently introduce neophytes into the series’ fairly complicated world. Too much exposition would turn off the former group, while too little would leave the latter crowd confused and disenchanted. I can’t speak for the serious fans, but I know a few, and they all seem pleased with the film, so I think Columbus left most of them happy. As for the newbie audience, I’ll only speak for myself, and I found the level of exposition to be appropriate. The first half of the film could move somewhat slowly at times, but it actually seemed surprisingly engaging. It was fairly fun to meet the different folks and learn about the academy. Actually, I probably preferred those moments to the more story-oriented ones. Since the plot is quite unremarkable, the second half of the movie appeared a little bland and generic at times, so I was more entertained with the heavier emphasis on characters seen earlier. Stone got a boost from a rather strong cast. The film boasts an exceedingly solid base of adult actors. In addition to the usually excellent Rickman and Coltrane, we find pros like Richard Harris and Maggie Smith in fairly prominent roles, while John Cleese and John Hurt show up in smaller parts. They do just fine in the film. Coltrane was probably the most delightful of the bunch, as he made rough-looking and bulky Hagrid consistently charming and amusing. Even though some of his bits should have become annoying, Coltrane’s talents made sure that didn’t occur. For example, Hagrid constantly tells the kids facts that should remain secret, and he then comments that he shouldn’t have done that. The running gag should have gotten old, but Coltrane delivered the lines so winningly that it continued to work throughout the film. As for the kids… well, two out of three ain’t bad. Watson seemed appropriately precocious and snippy as Hermione, but she never became unlikable; the young actress nicely walked the line and kept the character appropriately believable. As Ron, Grint came across as a likeable nebbish who fit neatly into the best friend mold. Both of these children managed to bring their characters to life in suitable ways. Unfortunately, I felt less wild about Radcliffe as Harry. He sure looked the part, but he showed almost no personality. Perhaps he’ll develop more in future films, and I do believe that some of his lifelessness was intentional. The story clearly wanted Harry to show growth and additional personality as he became more accomplished and confident; like Luke Skywalker, Harry’s a child of destiny with special gifts. However, Radcliffe simply went from really bland to a little less bland by the end of the film. When he needed to provide exuberant and charismatic moments - such as during the film’s climax or the Quidditch match - he couldn’t pull off the appropriate levels of character. Radcliffe didn’t actively hurt the movie, but I thought he caused a minor void at its center; a flick’s main character shouldn’t be this bland, though I suppose he fits the mold set by many Disney animated pieces. Speaking of animation, Stone suffered from some rather weak computer generated imagery at times. Actually, occasionally I thought the CG looked decent, but anytime it featured moving characters, the quality dropped badly. Most CG artists have not yet figured out how to make living creatures move realistically, especially when speed escalates. I just saw Spiderman and thought that film suffered terribly from that factor; the web-swinging and fights lost points because they looked so fake. Stone didn’t have quite that many concerns, but it still came across as stiff and phony at times. The Quidditch game showed the most problems, as it featured tons of movement, almost all of which looked fake. In addition, Harry’s fight with the troll showed similar movement. One odd problem arose when we saw the creature Firenze. He didn’t move much, but he appeared very artificial; actually, he looked like something out of a videogame cut-scene. Given the budget and the prominence of this film, I found the periodically weak CG to come as a surprise. Nonetheless, I thought Harry Potter and the Sorcerer’s Stone offered a reasonably enjoyable flick. I came into it with only a little foreknowledge and few real expectations, but I found it to offer a moderately likable and engaging tale. The movie handled gobs of exposition well and provided some decent action. I can’t claim that it enticed me to be a part of the legions of Harry lovers, but I found it to be a watchable and entertaining experience. Footnote: as many people know, Stone was retitled for American audiences. In most other places, the film was called Harry Potter and the Philosopher’s Stone. I guess the powers-that-be thought “philosopher” sounded too stuffy for American kids; they need something jazzy like a sorcerer! It’s a dopey change that actually means the two films are slightly different. During this version, we occasionally hear the kids refer to the “sorcerer’s stone”, and these shots clearly aren’t just dubbed versions of the “philosopher” segments. That means the filmmakers needed to shoot two sets of takes for each market, so while I’m sure the scenes are very similar in both cuts, some differences have to occur. The change seems especially odd given the amount of Brit-speak heard during the movie. For example, everyone says “Happy Christmas” instead of “Merry Christmas”, and “boogers” are called “bogies”. However, I understand that those bits are much less minor than the title of the film, so I can see why they stayed when the name changed. It still felt weird, though, to note some variations but not detect these changes. Harry Potter and the Sorcerer’s Stone appears in an aspect ratio of approximately 2.35:1 on this single-sided, double-layered DVD; the image has been enhanced for 16X9 televisions. While not a spectacular picture, Stone seemed very good for the most part. Sharpness consistently looked solid. At all times, I found the image to appear crisp and well defined. Softness caused no concerns through this detailed and accurate picture. Jagged edges and moiré effects provided no problems, and I also failed to notice any signs of edge enhancement. 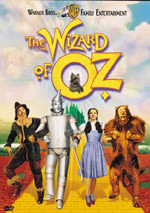 As for print flaws, the movie seemed a little grainy at times, but those issues remained minor, and they seemed related to the use of fog effects. For example, the opening scene presented a hazy setting, and it showed the highest level of murkiness. Clearly this resulted from the fake fog, and I detected no other signs of defects; the movie seemed clean and fresh. Color reproduction appeared quite good. The various hues came across as nicely bright and vivid, and the film generated some bold and distinct tones at times. I saw no problems related to noise, bleeding, or other concerns. Black levels were deep and rich, while shadow detail appeared appropriately heavy but not overly thick. Those who expect a reference quality image from Stone will be disappointed, but I thought that the transfer seemed to replicate the original material well. Even better was the Dolby Digital 5.1 soundtrack of Harry Potter and the Sorcerer’s Stone, though it also fell short of true greatness. The soundfield seemed nicely active and involving throughout the movie. It used all five channels well as it created a lively and engaging environment. Music displayed solid stereo imaging, while effects came from all around the spectrum. Environmental ambience appeared realistic and convincing, while the film’s action sequences came across as vivid. Elements panned neatly from side to side and front to rear, and the surrounds kicked in a fair amount of useful information. The Quidditch match provided the best aspects of the mix, as the game popped to life neatly, but a lot of other scenes showed fine involvement from the rears as well. Audio quality appeared positive. Dialogue consistently sounded natural and warm. I heard no concerns related to edginess or intelligibility. Music seemed bright and vibrant, with clear highs and rich low-end response. Effects came across as distinct and accurate, and they also displayed solid dynamic range. Bass response appeared nicely deep and taut, and the track as a whole provided a very good piece of work. With the release of Harry Potter and the Sorcerer’s Stone, we see the continuation of a new DVD trend: special editions aimed at kids. Usually when one sees a two-disc set, one assumes it’ll pack lots of behind the scenes material and all sorts of stuff that discusses the making of the movie. However, as witnessed with the mega-hit Shrek, some studios are aiming the extras at the flick’s target audience. For a two-disc set, Shrek seemed fairly light on substance. However, Shrek was different from Stone in a few ways. For one, it actually provided two versions of the film on its two discs. The widescreen edition sat on one platter, while the fullscreen cut resided on the other. For Stone, we find only one version of the flick. You can get the fullscreen rendition of it, but you’ll need to buy it separately; unlike Shrek, the two don’t reside on the same set. That means all of DVD Two consists of supplements; it uses none of its space to extras. In another difference between it and Shrek, we find virtually no bonus pieces on DVD One of Stone. Shrek at least tossed in an audio commentary, but Stone provides no such document. This is a definite disappointment, as I love commentaries and would like to hear one for Stone. DVD One isn’t totally devoid of extras, but it comes close. We find a Cast and Crew section that simply lists the names of participants and their characters/jobs. Warner Bros. does this for many of their DVDs, and I don’t get it. If I want to find out who played a certain role, I’ll look at the end credits. I go to “Cast and Crew” areas for biographical info about the participants, or at least to check out a filmography; these basic charts are useless. 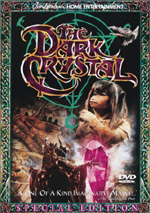 In addition, DVD One includes the film’s theatrical and teaser trailers. In a nice touch, both are provided with anamorphic enhancement, though they offer only 2.0 sound. After this, we move on to DVD Two, where the bulk of the extras reside. Clearly aimed at younger fans, these materials come at you in batches that often require various games to enter. The supplements also come under different headings. We’ll start in Diagon Alley, which includes three subdomains. After you choose the right stones to enter the area, you’ll need to start in Gringotts first. Make sure you click on the key at the bottom of the sign; otherwise your attempts to withdraw the needed money will be rejected. Click on the exchange rate board and you can leave with your money. With cash in hand, you can now visit Ollivanders Wands. All you do there is play a random guessing game to eventually snare you your wand. Then you move to Eeylops Owl Emporium. There you just hear a few seconds of info about three different owls. And that’s it! What a waste of time, as these various activities were dull and pointless. Maybe the disc will improve, he hoped, as he moved to the Sorting Hat. Here you can click on any of four different dorm names: Gryffindor, Hufflepuff, Ravenclaw and Slytherin. If you do so, you’ll hear a few seconds of nonsense about each of the houses. After you finish the 45 seconds or so that this requires, you’re done - nothing left to see here! Well, at least this domain required no silly guessing games to proceed. Back at the main menu, I tried Hogwarts Grounds next. When I clicked on the Golden Snitch, I then had to “trap” it again to hear a few seconds of info about it; the material will be familiar to anyone who actually saw the movie. After I selected Fang the Dog, I got into Hagrid’s hut. This led me on a semi-interactive tour of the abode. I heard about his place but couldn’t interact with much; it’s generally a video visit, though we’re occasionally allowed to pick an item like the dragon egg, which resulted in a few seconds of narration about it. This section had potential but seemed dull and unengaging for the most part. Click on the Quidditch balls and you’ll find a 43-second clip from the film that explains the game’s rules. Why? We already own the movie and can watch the segment there if so desired. This extra lacks much reason to exist. Note that here and in a few other domains, we’re given a box of Bertie Botts’ Every Flavour Beans. You can select various beans and hear the narrator - who’s really starting to get on my nerves - tell us the flavor. (Or flavour, if you will.) It’s another minor diversion that adds little. That concludes “Hogwarts Grounds” - let’s give the Library a look. There we can select from five different unnamed books, which I’ll cover from left to right on the screen. The first provides something I’d not previously encountered on this disc: actual information related to the making of the film! It gives us a still frame gallery that shows conceptual drawings for 65 of the movie’s props and sets. In the second book, we’re simply given some instruction how to proceed later in the story; we’re told to play a flute to soothe Fluffy. The third tome provides short video montages for a bunch of the Hogwarts residents. Each lasts about 30 seconds, and we find clips for Harry, Hermione, Ron, Draco Malfoy, Oliver Wood, Neville Longbottom, Seamus Finnigan, Percy Weasely, Madame Hooch, and Filch. Though generally uninteresting, at least it gives us a better look at a few of the film’s more obscure participants. The fourth book simply provides a 40-second video clip that reminds us of the various dorm ghosts. It’s a decent way to spotlight them, though it adds little info. Lastly, the fifth book just screams at me. Perhaps there’s something I’m supposed to do before I open it, but I get the feeling that there’s nothing I’m missing. So ends the “Library”, and I now decide to try the Classrooms. In Defense of the Dark Arts, we get two choices. Click the vial on the left and get a clue to retrieve the Sorcerer’s Stone. Hit the frame with the picture of Professor Quirrell and you’ll see a 23-second montage of his scenes. When I tried Spells & Charms, I first selected a book on the left. It allows you to watch one scene from the movie with any of eight different languages (including English). Select the photo of Professor Flitwick and watch another 23-second scene compilation. Potions follows this same pattern. The mixing bowl forces you to try to create a potion through a random and unenjoyable guessing game, especially because it was quite unforgiving; one error at any step and you must start it again. When you finally finish it, you then have to do more random choosing to get the right key! It gives you three pairs of guesses before it bumps you back to the main menu. Very annoyingly, the keys shift positions after the second and fourth wrong choice, so it’s extremely difficult to track your erroneous picks. This makes the task even more tedious and obnoxious. Once I finally completed that, at least the final task was easy. I needed to select a bottle from a selection of seven, but happily, the DVD already told me which one to pick. From there I actually found something of substance: an array of deleted scenes. We get seven of these, and they last between 19 seconds and three minutes, 25 seconds for a total of eight minutes and 40 seconds of segments. Not of the material seems essential, but it’s fun to see; the bits are generally entertaining. That makes it all the more aggravating that I had to go to so much trouble to see them, and it certainly doesn’t make it easy to revisit them in the future. When we go to Transfiguration, click the item on the left to get a simple 50-second video biography of Headmaster Dumbledore. We also find another picture frame, this one with an image of Professor McGonagall. It offers a 33-second video montage of her material. “Classrooms” ends with an option to select the Hogwarts logo. This simply offers another way to access the deleted scenes. However, it’s a quicker and easier way. Actually, it’s the same process except it substitutes a simple question about how to subdue Fluffy for the tedious potion-mixing exercise. It all sends you to the same place. Next I moved to the Tour. This takes us around Hogwarts in another semi-interactive romp that resembles the look at Hagrid’s hut. It’s mildly entertaining for fans, but it did little for me. There’s simply not much substance on display. After this I went to Interviews, an area that consists solely of a 16-minute and 20-second program called Capturing the Stone: A Conversation With the Filmmakers. It includes comments from producer David Heyman, director Chris Columbus, screenwriter Steve Kloves, and production designer Stuart Craig. Despite the piece’s brevity, it offers a nice mix of facts about the production, from the challenges of adapting the book to casting to notes from the set. In addition to some behind the scenes footage, it also provides a chat about the second film, Harry Potter and the Chamber of Secrets. Unfortunately, this shows no actual footage, but Columbus and Heyman help stoke the fires nonetheless. Overall, “Conversation” is short but reasonably substantial. Though the main menu lists a section called Extra Credit, fans without DVD-ROM drives will be out of luck. With disc firmly planted in computer, I explored the various DVD-ROM extras. That’s where we found the official implementation of “Extra Credit”, though even some folks who do have DVD-ROM drives will remain out of luck. That’s because when I first entered that area, it asked me to use a microphone. Since I don’t have one, that made it tough. Nonetheless, once I “cancelled” that path, I got “sorted” into a dorm and then was told I could name my owl, who would retrieve e-mail messages for me in the future. Alas, this feature wasn’t active when I tried out the disc a couple of weeks before street date. “Extra Credit” still included a few other pieces. Desktop Wizardry allows you to install a “Screensaver” and a “Remembrall”. Since I really don’t want a Potter screensaver, I skipped that one, but I gave the “Remembrall” a look. It’s just a computer planner thing that will remind you of important dates and such. It’s cute but nothing special. The Magical Trading Cards simply provides a demo version of the Harry Potter Trading Card Game. Frankly, I’m not clear if the full version will be available free through the Potter DVD website or if you’ll have to buy it separately. When I clicked “go online”, it indicated that the “Magical Trading Cards” are “coming soon” on May 28, 2002, the disc’s street date. Anyway, the little experience I had with the game actually seemed moderately fun. Back in “Extra Credit”, I clicked More Stuff and found a couple of programs that clearly exist to promote separate releases. We get an “Electronic Arts PC Game Demo” and a “Lego Creator Activity Demo”. The latter looks like it might have some potential, but the former seems like nothing more than just another cheesy first-person action game. We also discover Enhanced Tours of Hogwarts and Hagrid’s Hut. These offered a little more flexibility than the presentations on the main DVD, but essentially they seemed the same. That concludes “Extra Credit”, but a few other options appear, all of which require Internet access. Daily Prophet sends you to a WB Potter website with all sorts of information and options. It looks like a pretty good site. Special Events goes to the standard WB page for that content. They don’t update it well, and it rarely offers much of use. The Harry Potter Website gives us another fairly fun site with a reasonable amount of good content. Wizard’s Shop tries to sell us stuff, while Movie Mail allows you to sign up to receive updates from WB. Note that all of the weblinks also appear on DVD, but the “Extra Credit” content is exclusive to the second disc. And that’s all she wrote! Considering the stature of Stone, the DVD’s extras can only be regarded as extremely disappointing. I found just three areas with any decent material: the collection of conceptual art in the “Library”, the deleted scenes, and the interviews. The rest of the stuff was either forgettable and bland or openly annoying. Some will argue that I don’t reside in the target audience for this package, and they’d be right; I just celebrated my 35th birthday, so I’m far from the desired Potter demographic. Nonetheless, I can’t imagine too many kids will feel jazzed about much of this stuff. The various games tend to be tedious and aggravating, and the whole thing reminds me of one of those lame “interactive” CD-ROMs that flourished in the mid-Nineties. The extras present a lot of apparent activity and some pretty pictures, but the overall effects remains unimpressive, as there’s very little substance on display, and the disc makes one work much too hard to access some of the bits. Had the package included an audio commentary and a real documentary, I’d be much more forgiving. But as it stands, the supplements found on Stone are largely insubstantial, and the presentation leaves a lot to be desired. It also suffers from some technical gaffes. When I first entered “Diagon Alley” and went into a store, I did so before I got any money. The game told me to retrieve some bucks, and I accomplished that. However, when I tried to go into the two stores then, I still heard that I needed money. I was forced to restart the DVD to get this to work. As a movie, Harry Potter and the Sorcerer’s Stone worked reasonably well. Though I’m not a part of the Potter cult, I thought the film explained the territory efficiently and entertainingly and accomplished most of its goals. I can’t call the flick a classic, but it provided a fair amount of enjoyment for what it was. In regard to the DVD, it presented solid picture and sound but disappointed terribly when it came to supplements. The disc offered many nuisances in the name of “fun” and included very little useful or intriguing elements. I’d still recommend Harry Potter and the Sorcerer’s Stone to fans or anyone who thinks they might enjoy this kind of light fantasy; the presentation of the film remained good, and it retails for a reasonable price. However, the poor quality of so many of its extras left a sour taste in my mouth. I expect this DVD will go down as one of the most disappointing releases of 2002.